Below are just a few accolades from some of our satisfied customers. We're hoping to add you to the list in the near future! Awesome Job! They have arrived and look great! Thanks to your gifted team on producing such a nice product in such a limited time frame. I appreciate it greatly!!!!!" We continuously evaluate our suppliers and strive to maintain good relations with our key vendors. Forum Communications Printing is the key vendor for our printing requirements. You continue to provide us with creativity and exceptional quality. Your attentiveness has encouraged us to purchase all our Standex ADP national requirements from Forum Communications Printing. Good prices, good customer service, short lead-times, quality products and good friends...all from one source. Thanks for taking care of us." Auctions are very time sensitive events. We schedule our project, and then everything else has to fall into place for that particular day, date & time. High impact marketing is one of the most important aspects of our presentation. I have been an auctioneer in the upper Midwest for 26 years, and with the exception of my home town printer whose services we simply outgrew, Forum Printing has been a real salvation for us. We’ve tried others, but they simply didn’t understand or make an effort to get things on the press and out the door in a timely fashion. The quality of work and turnaround time that we receive from them has always met or exceeded my expectations, and the professional courtesy I have received, makes me feel like I’m still dealing with that hometown printer." It has been15 years since Smith-Western Inc., Portland, Oregon was fortunate enough to join with Forum Printing in what has been an outstanding partnership. It is obvious just seeing their finished product/art to understand why they have been acknowledged as Printer of the Year, while producing award winning books, postcards etc. They also lead as an environmentally conscious “green” company offering their customers Forest Stewardship Council (FSC) certified stock for printing. Forum is open to whatever it takes to assist in seeing that your business has the opportunity to succeed." - Scott L. Blackett , President, Smith-Western, Inc.
As good as their printed products have become, “the best” of Forum is their customer service. They have made TOTAL CUSTOMER SATISFACTION a number one priority. No matter the size of a concern they take care of any and every situation in a professional and thorough manner. If you are looking for a company that exudes confidence in their ability to keep their customers happy, while also producing superior products…it is Forum Communications Printing." Details, Communication, Quality, Creativity, Timeliness, Friendliness — just a few of the reasons we enjoy doing business with Forum Communications Printing. In today's fast-paced world, too many people have forgotten what customer service really means. Thank you for the excellent service you provide to us." - Rich Swan, Sales Manager, Sanborn, Ltd. There simply is no more sensitive or critical document provided by an employer than their employee's W-2. Forum Printing has helped us grow our Complete W-2 Service to over 70,000 employers by printing and mailing our customers W-2s accurately, on-time, and in a secure manner for four years. We consider Forum Printing true partners in our venture as they have continued to work very closely with our forms group to insure that all mailing standards are met. More importantly, they have made sure that our promise of timely, secure delivery of customer's employee W-2s is kept. Our Prairie Grains publication was being printed using a sheet fed process with a gloss cover and uncoated stock for the inside pages. We wanted to improve the overall image of our magazine, but assumed that it would be cost-prohibitive to do so. Forum Communications Printing suggested that we try running the magazine entirely on glossy stock. When they showed us their bid, using glossy stock on their heat-set web, we were surprised to see the cost was actually less than what we had been spending. We made the switch and have never looked back because the glossy stock had allowed us to capture a professional look that our readers and advertisers appreciate. 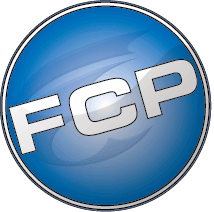 In addition we never had to question our decision because we got such good service from the people at FCP. The bottom line for us is that the switch to 100% glossy stock on the FCP heat-set web saved us money, helped increase our advertising and made our magazine more enjoyable to pick up and read." As the Office Manager at Courts Plus Fitness Center, I never looked forward to the beginning of each month. I knew the whole day was going to consist of printing, sorting, folding and the stuffing of our monthly statements. Being introduced to automated mailing services of Forum Communications Printing has made the beginning of every month hassle free. What used to take an entire day now takes twenty minutes! I am very pleased with what Forum Communications Printing has done for Courts Plus Fitness Center and would recommend their services to anyone."